Reebok has announced it wants to produce plant-based footwear made from organic cotton and corn. The US-based company, which is a subsidiary of adidas, has launched the Cotton + Corn initiative as part of its effort to make footwear from “things that grow” instead of materials that aren’t biodegradable. “Unfortunately, the fact is most shoes just end up in landfills, which is something we are trying to change,” said Reebok president Matt O’Toole. The sportswear brand has teamed up with DuPont Tate & Lyle Bio Products, which produces a biodegradable rubber known as Susterra propanediol that is derived from industrial-grown corn. The soles of the shoes will be made using this rubber while the rest will be composed of organic cotton. “This is really just the first step for us,” said Bill McInnis, of Reebok Future. “With Cotton + Corn we’re focused on all three phases of the product lifecycle. “First, with product development we’re using materials that grow and can be replenished, rather than the petroleum-based materials commonly used today. “Second, when the product hits the market we know our consumers don’t want to sacrifice on how sneakers look and perform. The company wants to bring its plant-based trainers to market later this year. This entry was posted in Innovation, Manufacturing, Organic Cotton and tagged adidas, Cotton+Corn, disposal, eco-shoes, footwear, lifecycle thinking, organic cotton, plant-based trainers, Reebok, Reebok Future. Is ethical clothing expensive though? When you look at it on the surface, yes, ethical clothing is expensive. This $120 dress (approximately £96 at time of writing), by Everlane, whose business model is based on ‘radical transparency’, is pretty similar to this £35 dress from a company with no ethical statement. Why would you spend £60 more on a dress that’s pretty similar? It’s hard to make the maths add up. When you sit and think about that £35 dress though, you begin to think how manufacturers can possibly make a dress for £35, and still make a profit. If you’ve ever tried to make your own clothing you’ll know it’s pretty tricky to make a dress for that amount of money. 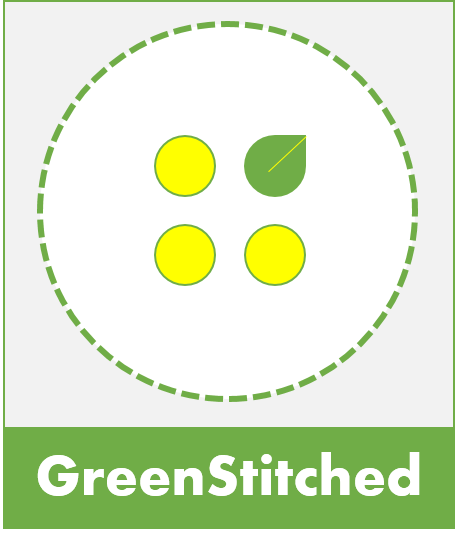 By the time you’ve bought the fabric and the pattern, and the thread and any zips or buttons, and the electricity to power your sewing machine, you may well have reached or exceeded that amount, before even accounting for the cost of your own time. So could the rise of fast fashion retailers have caused us to lose our sense of perspective, and our benchmarks and baselines on what is expensive? Since the 1980’s the cost of housing, rent, food, fuel and other consumables has risen, in some cases dramatically. In 1980 the average cost of a home was £23,000 (around £89,000 in today’s money), whilst by the end of 2016 the average price of home was £205,000 according to the same report. The Telegraph reports that lager has increased in price by 336%, whilst a loaf of sliced white bread has increased in price by 235% and eggs by 286%. What has actually happened with clothing is that since the 1980s, instead of rising in price in line with inflation, clothes prices have fallen and fallen to the point we’re at now where you can buy a top for less than £5 in 2017. The reason for this outsourcing is that in the 1980s clothing manufacturers realised they could manufacture abroad, in places where they could pay workers considerably less, and where workers could work longer hours in poorer conditions. This ultimately meant greater profits for manufacturers, and lower prices for consumers. We’re now so used to cheap clothes that have flooded the market since the 1980’s, that this has artificially driven down the value of clothing. If you’re in your forties or younger you’ll have grown up in an age where clothing has gotten cheaper and cheaper. You won’t, or will barely remember a time when clothing wasn’t cheap. Yet going back to the £96 Everlane dress, I suspect that this is more like what the average dress should cost in 2017, if not more. It’s also also quite clear the impact that the mass production of clothing overseas has had on household spending. I’ve again struggled to find UK statistics, but census data from the US shows that in the 1950’s households spent 12% of their annual income on clothing. Fast forward to 2015, and it’s reported that households spent just 3.5% of their annual income on clothing, even though Americans are buying more clothes than ever before. The same article reports that in 1930, the average American woman owned nine outfits, whilst in 2015 that figure was 30 outfits – one for every day of the month. 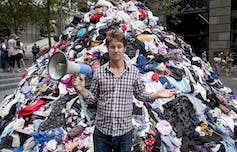 More worryingly, another report suggests the average item of clothing is worn just seven times before being discarded. Cheaper prices clearly mean consumers value their clothes less. So what’s the answer? By suddenly removing manufacture from the countries that depend on clothing manufacture for the overseas market wouldn’t be good for those countries’ economies. In 2014 the ready made garment industry represented 81.13% of Bangladesh’s total export, and of the 4 million workers employed by this industry, 85% are illiterate women from rural villages. It’s a tricky situation. I think part of the answer lies in our relationship with clothing. Buying less; not buying into trends; and investing in quality timeless pieces are more than likely the way forward. I’ve previously written in length about these aspects of consumerism – but in a nutshell ethical fashion isn’t expensive when you factor in the cost per wear of a quality made item, versus a poorly made fast fashion item of clothing that falls to bits after just a few wears. As consumers we also have to act more responsibly. YouTube haul videos, like this one where the vlogger boasts to impressionable young viewers about how many cheap items of clothing they’ve bought only perpetuate the cheap disposable clothing myth. Another part of it voting with your wallet. 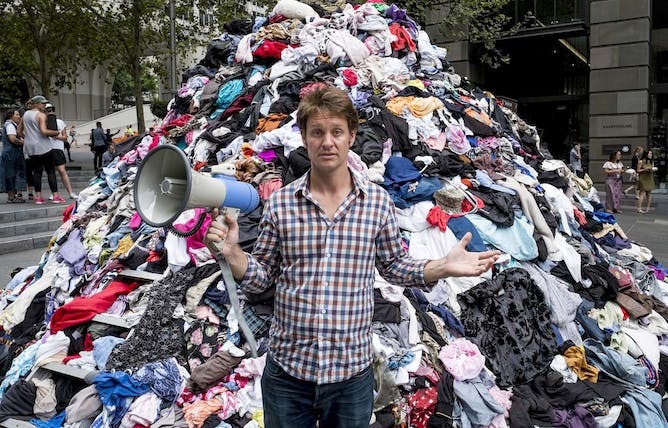 If more and more people start shopping with more responsible retailers then this sends a clear message to retailers that they have to up their game and make their clothes more ethically. Perhaps we have to therefore have to work on regaining our sense of perspective when it comes to the cost of clothes. Spending more on each individual item of clothing we buy and spending better, but buying much much less is the only way to re-establish sensible baselines on what constitutes as expensive and what constitutes as good quality. This entry was posted in Manufacturing and tagged conscious consumer, Consumerism, consumption, Fast Fashion, fastfashion, Huffington Post, Supply Chain.